What are Fee Simple Lots? If you aren’t familiar with the home-buying process you may not know what it means for a property to be “fee simple.” There are a couple different ownership types for properties, but since Springfield Commons is proudly fee simple, we will explain what that means. This means that you have complete ownership of the land and the home. Not only do you have ownership of the home and land, but this also means that you have ownership of the air space above the property and the ground and minerals beneath the property. While you do own the property, you are still subject to taxes on your mortgage. Fee simple also means you get to dispose of the property in whatever form you wish. There are no restrictions from transferring deeds or leaving the property in your will to anyone you’d like. 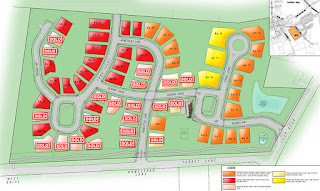 We chose to make our lots fee simple because we believe in working with our community to give them the best opportunities with buying a lot and building a home. Fee simple is the highest form of ownership and lets the home buyers get the most out of their lot and home. This newsletter is a semi-regular production from the Homeowner’s Association Board to hopefully provide timely and useful information to everyone in the neighborhood. If you have any contributions or feedback, please email any member of the Board or Bob Conn at bobconn@gmail.com. New Trees – Harris Township replaced many dead and dying Ash trees in the neighborhood in the right of way. They also planted “leftover” trees in community circles. However, due to conduit, Harris Township did not replace the trees along one side of Dearing Drive (thus the “leftover” trees). The Board hopes to address Dearing Drive trees in the Spring. Watering needed! – The new trees need water to thrive. If you have a new tree in your front yard area or within garden-hose reach, please consider watering them and filling the treegator (green bag) to help them grow. Bugs – Japanese Beetles seem to be especially fond of one of the species of trees selected by Harris Township. Piet has kindly offered to spray some of the trees with neem oil which is effective but is not a chemical insecticide. Pole Lights – yard pole lights (not street lights) are the responsibility of the homeowner and must be functional and on a dusk-to-dawn controller. These make the neighborhood look nice, help to keep our sidewalks and streets safe when the street lights are not on and are required to be operational per the HOA Rules & Regulations. Landscaping – Lawnscape has pruned and groomed the hike/bike trail and green/buffer space in the community. These areas had become overgrown and difficult to mow. Additional pruning of trees was approved for Fall 2015 around the Community Center. Several dead trees remain in the area and efforts are underway to have them safely removed. Thanks! – Tom Songer had Neil pressure wash the outside of the community center and remove the old, unsightly wall-mounted soap dispensers and repair the wall where removed. While there, Neil helped with a hot water tank leak and cleaned up some maintenance areas. Thanks Tom and Neil! Thanks! – Tom Songer paid for ½ of the cost of the trees recently planted by Harris Township. Tom has been generous with many additional investments in the community over time. The trees are just the most recent example. BJ Hale (bj-hale@hotmail.com) is interested in hearing from you about a Summer community picnic. Please email her if you would like to have one and if you'd like to help organize. Garden Committee – contact Christine Coleman. Lots of watering to be done! Community Center Reminder – Please remember that the community center is not used regularly and the Board has adjusted the cleaning schedule per demand. If you are planning to use the center and have signed up using the calendar, do check on it the night before or earlier in the day of use. You may need to air out the center by opening windows for a short while or a quick touch-up dusting may be needed. By simply checking out the center in all areas and touching up as needed will ensure that it appears the way that you want it to when you will be using it for your guests. Cleaning equipment and supplies are in the closet for when your event is over. Please remember to take your trash with you. As demand increases, the cleaning schedule will be reevaluated. Ownership Change to Fee Simple – All of the documents to change the form of ownership at Springfield Commons from Condominium to Fee Simple were recorded on July 24, 2015. Corrective deeds will be recorded for each individual property owner to reflect this change. Each property owner will now own the lot on which their home is located. I want to thank all of the owners of lots within Springfield Commons for their cooperation on this issue. Carriage Home (duplex) owners will have their own insurance on their homes just like Village Home owners. Construction and Sales – The spec house on lot 47 has been sold. I want to thank Vic Campbell for his assistance in talking with the buyers and answering their questions about Springfield Commons. We are working on plans for another spec home that will be built on one of the lots on Rubin Way as you enter the development. 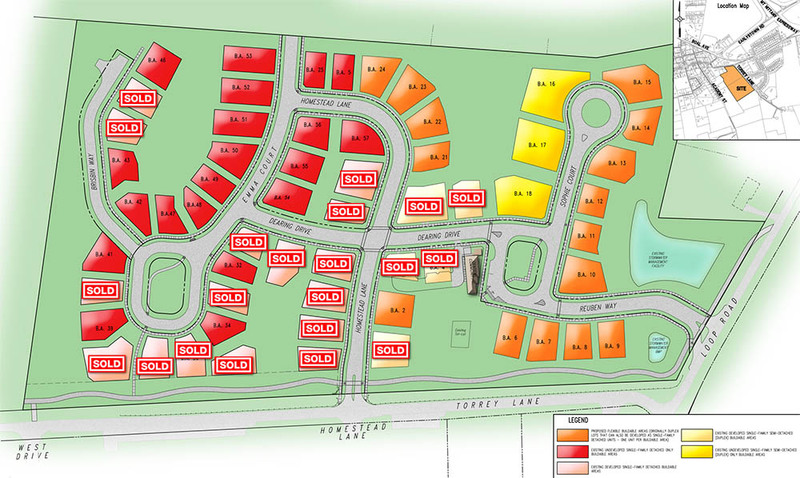 We have an agreement of sale on lot 54 on Brisbin Way. The buyers are working with representatives of Pinehurst Homes to construct a new home. We have a potential buyer for lot 63 on Emma Court. This buyer has met with representatives of Pinehurst Homes.